Get Your iPhone or iPad Repair Today!!! Broken Glass? Cracked Screen or LCD, Water Damage? Charging Port Issues? We can help you. We can make any repair needed for your Android phone or device including motherboard repair. Broken Digitizer or LCD Screen Display? Camera Issues? Need a new Anti-Virus? Broken Screen? Your Laptop is running slow or need Windows Upgrade? We can help you. iTouch Repair is one of the fastest growing Cell Phone Repair & Unlocking Centers in the Washington DC Metropolitan Area. We know just how important your mobile device is to your business and personal life. For that reason, we specialize in all types of iPhones Repair such as iPhone X, 8 Plus, 8, 7 Plus, 7, 6S, 6S Plus, 6, 6Plus, 5SE, 5S, 5C, iPod, iPad, iPad Mini, and iPad Air. We also provide premium Samsung repair services. Our experts are able to examine and repair Samsung Galaxy S8, S8 Edge, S7, S7 Edge, S6, S6 Edge, S5, S4, Note 5, Note 4, Note 3 and any other Android Smartphone hardware and software issues. While we do provide premium screen replacement services, our expertise stretches to other areas as well. No matter what your device’s issue may be, our technicians are ready to help. Our experts have experience in water damage treatment, charging port issues, motherboard reconstruction, micro soldering, IC chip replacement, and more. We know that we offer the best services in the Arlington, VA, area. That’s why we offer a 90 day and LIFETIME warranty on all of our repairs. At iTouch Repair, it’s our goal to provide high-quality, convenient, and efficient repairs at an affordable price. Come and see why our customers keep coming back. 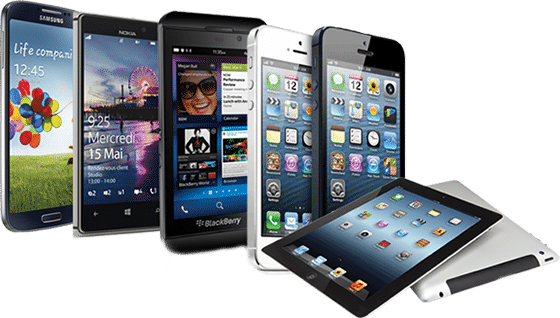 While our lead technician does have over 10 years of mobile phone repair experience with different makes and models, that’s not the only thing that our clients love. Our unparalleled service and quick turnaround time sets us apart from the competition. Just had my iPhone 6 Plus glass replaced. Was PLEASANTLY surprised that the job cost less than the original quote. I would have paid the quoted price but they were honest enough to tell me that it would cost me less … $100 less. Will definitely use this place to repair my mini-iPad glass too. I’ve used them 2x and had great service each time — fast and without any foolishness. Walked in and my phone was repaired within the hour, and I was back in business. My 6s was dropped on a golf course and shredded by a mower. I thought it was dead…screen destroyed and wires popping out of the top, etc. I brought it to iTouch Repair and now I have a practically new 6s again! iTouch Repair is one of the fastest growing Cell Phone Repair & Unlocking Centers in the Washington DC Metropolitan Area. We specialize in all types of iPhones such as iPhone 6S, 6, 5S, iPod, iPad, and Galaxy’s.